Blue condominium in Miami. Units for sale. 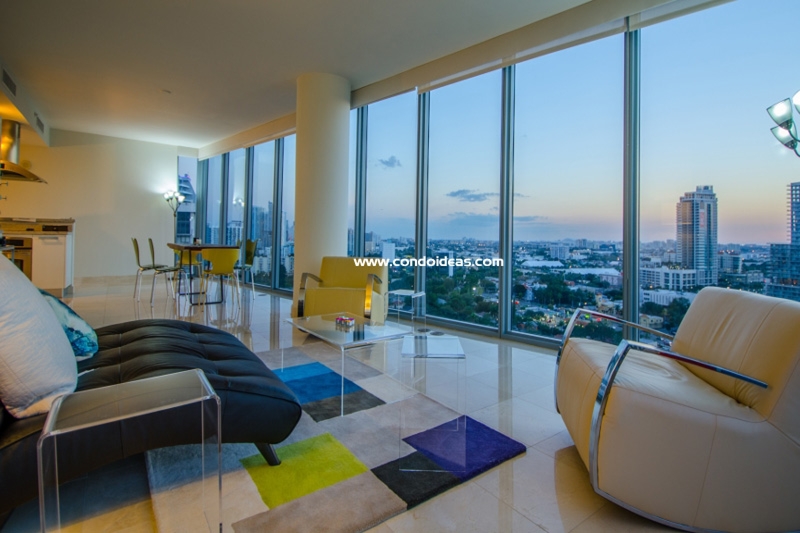 Miami’s Midtown gained an elegant and classy anchor with the completion in 2005 of the ultramodern Blue Condo on Northeast 36th Street. 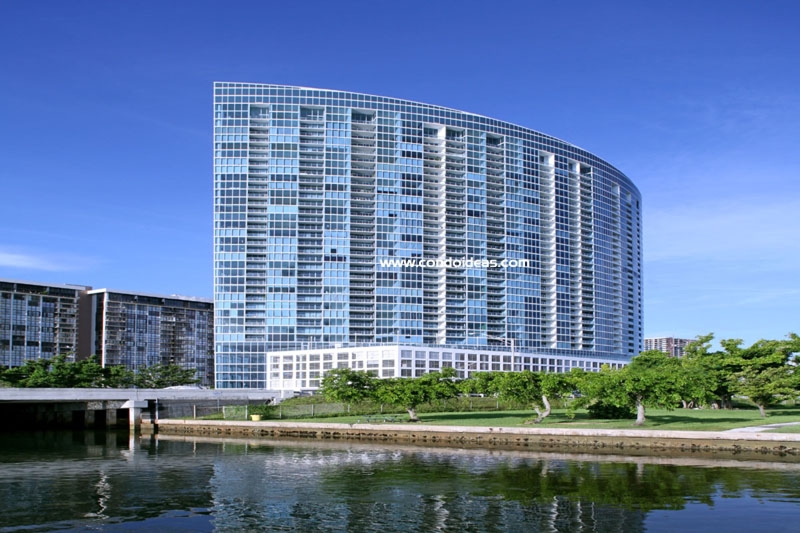 This 36-story luxury tower is the project of Netscape founder Jim Clark who engaged the prestigious and always-inventive design firm Arquitectonica to sell a signature building. The result: a blue, glass crescent accessed through a smartly curved entry that captures the feel and the light of this vibrant location. The 345 one- and two-bedroom residences offer eight different floor plans, all with ever-changing views of bay and cityscapes. An expansive one-acre pool and recreation deck overlook the bay. 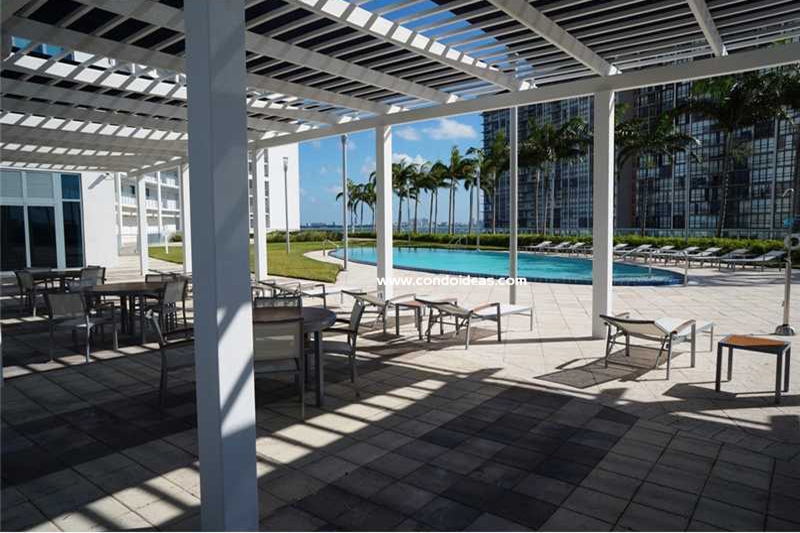 This elegant sixth-floor piazza provides a perfect setting for relaxation and recreation. Refined tropical landscaping complements the heated swimming pool as well as the lap and plunge pools. 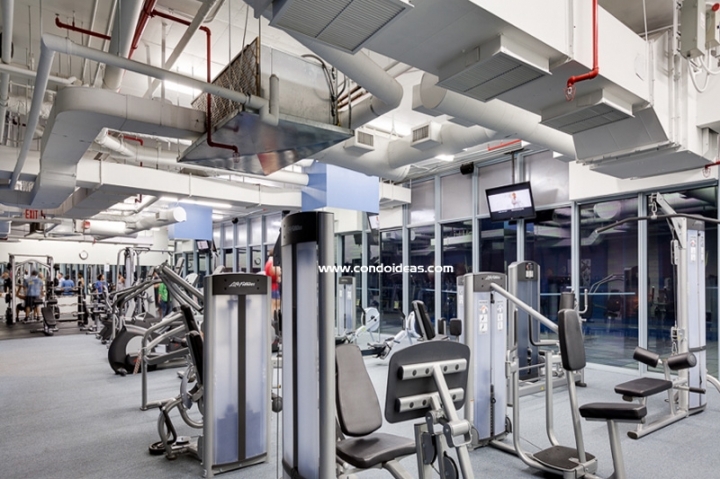 Other building amenities include the Blue Lounge, the world-class Blue Spa, a restaurant, a fully-equipped fitness center, treatment rooms, media centers and a game room. A business center and conference room are available to meet your official communication and meeting needs. 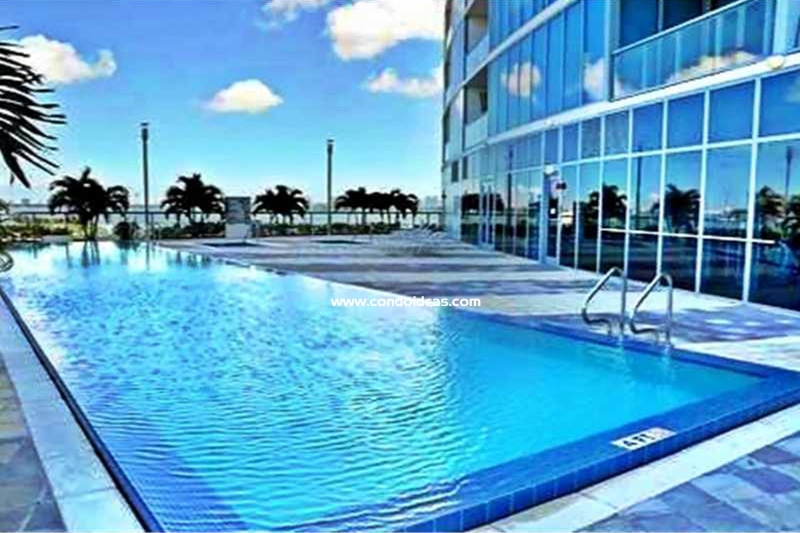 The physical amenities are matched by the superb personal services, including 24-hour concierge assistance and valet parking, reservation services, personal training, massage therapy, yoga and Pilates and even dog-walking services. The 345 one- and two-bedroom residences offer eight different floor plans, all with ever-changing views of bay and cityscapes. Access your residence through a semiprivate elevator lobby shared with only two other units. Inside, nine-foot ceilings – or eighteen-foot in penthouses – float above floor-to-ceiling windows. Windows and sliding glass doors frame the enviable views and provide entry to recessed, covered balconies with sparkling glass railings. The spacious kitchen areas are defined by custom Italian cabinetry, granite countertops and a full range of stainless steel appliances. Stylish baths feature marble floors. European-brand washers and dryers make laundry a breeze. The building is pre-wired for high-speed media and communications access. 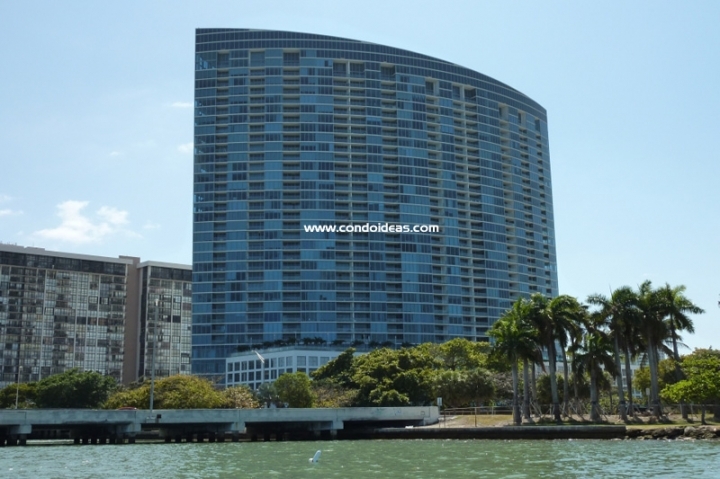 The location offers easy access to all that is Midtown Miami. Take advantage of the Miami Performing Arts Center, the Wynnewood Arts District, the Bayside Marketplace as well as all the incomparable nightlife and recreational opportunities of the greater Miami area. For views, for recreation, for services, for location, for luxury condominium living in one of the most elegant developments in the city, choose Blue Condo, Miami. From the same developer, you should also check out the Marina Blue .